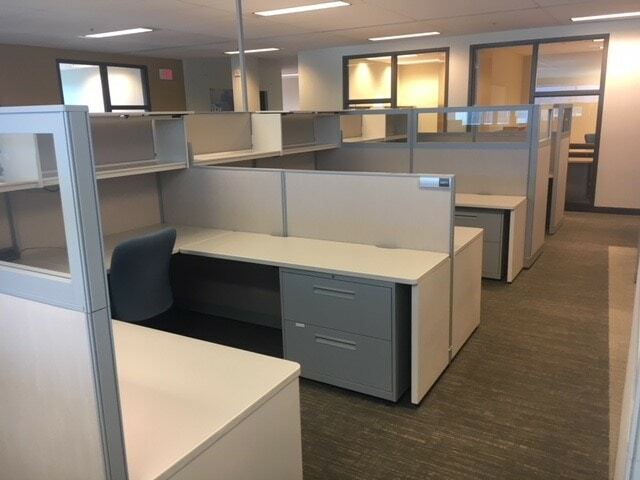 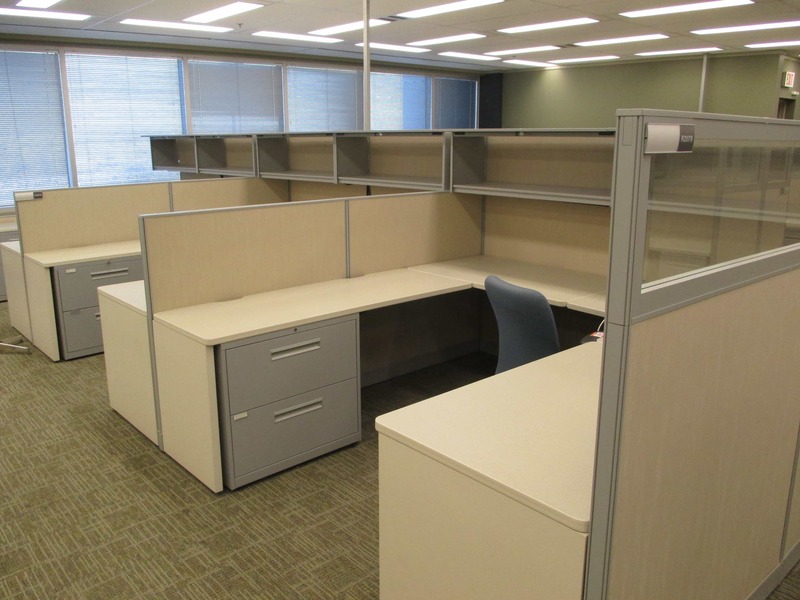 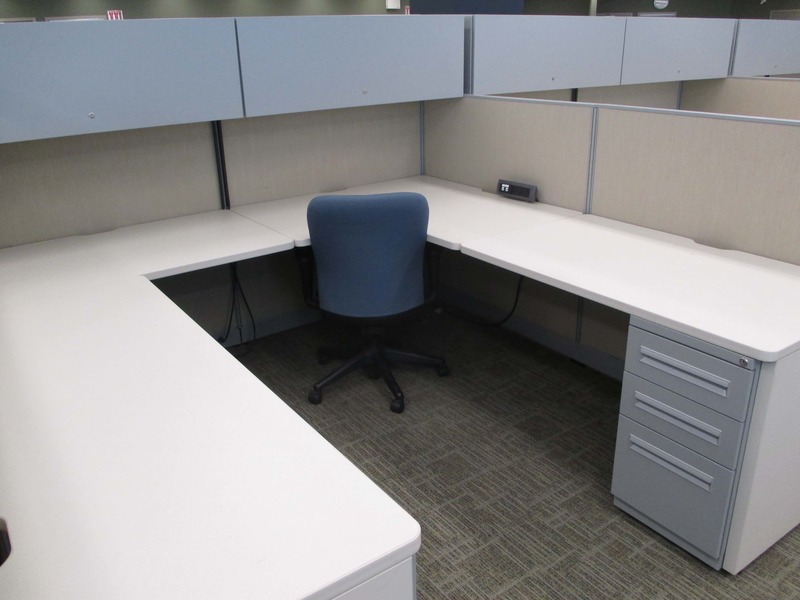 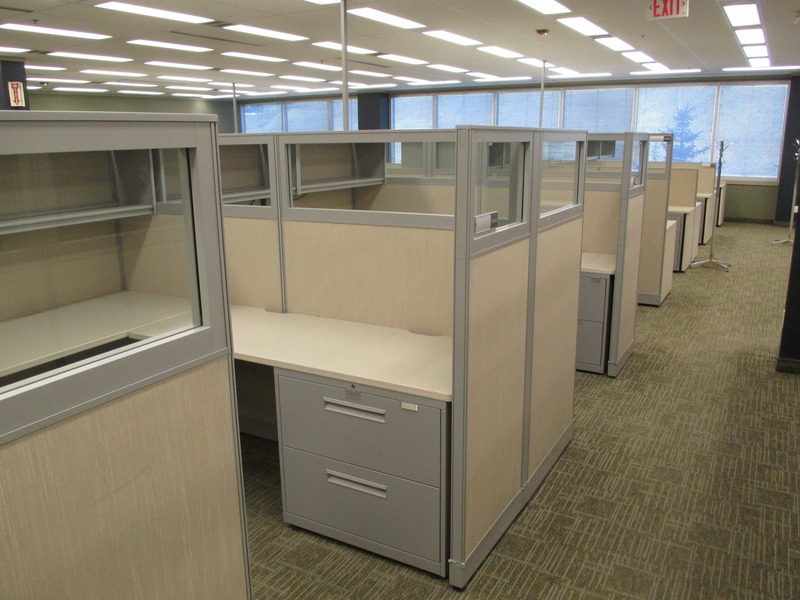 Haworth Places Series 8′ x 8′ modular workstations with tan fabric panels and grey storage/trim. 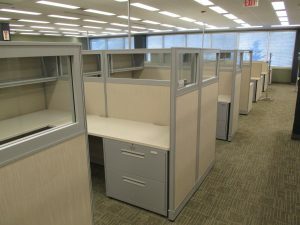 36″/54″/65″ panels heights available. 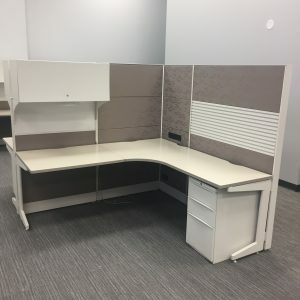 Features Box/Box/File pedestal cabinet. 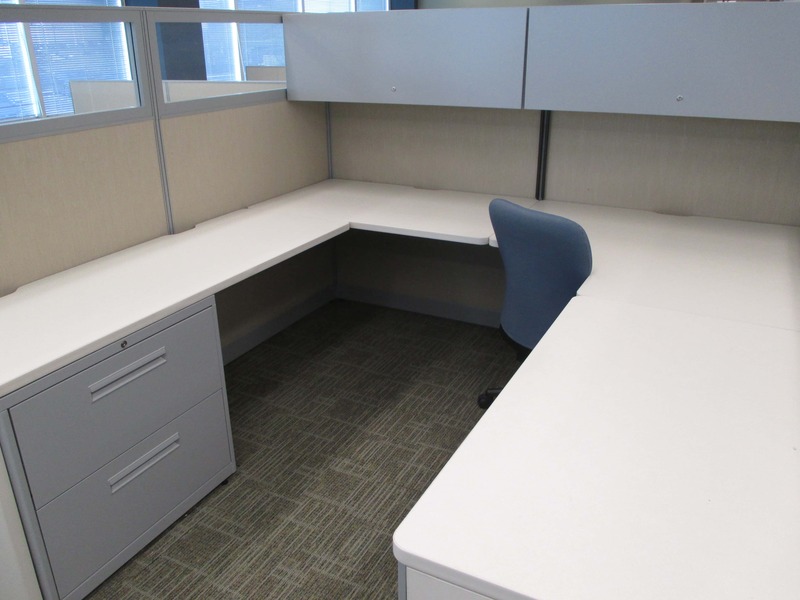 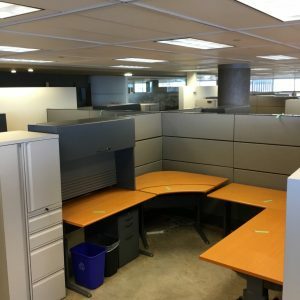 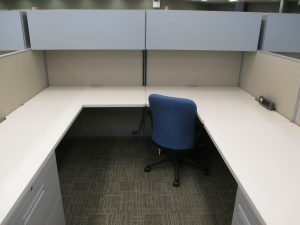 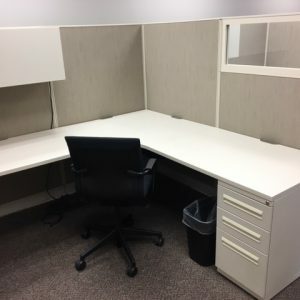 48″ overhead cabinet, 48″ shelf, 30″ lateral file cabinet.